"Your Assistant Manager, Craig Bloomfield, is the best. When it comes to any question about my car I can always depend on Craig to give me the right answer. He always greets you with a smile and sends you on your way the same. When I come in for my appointment and I see Craig there I know I’ll get the best care. 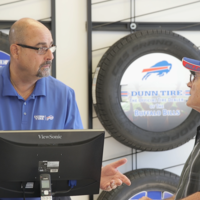 Craig is a great addition to Dunn Tire." 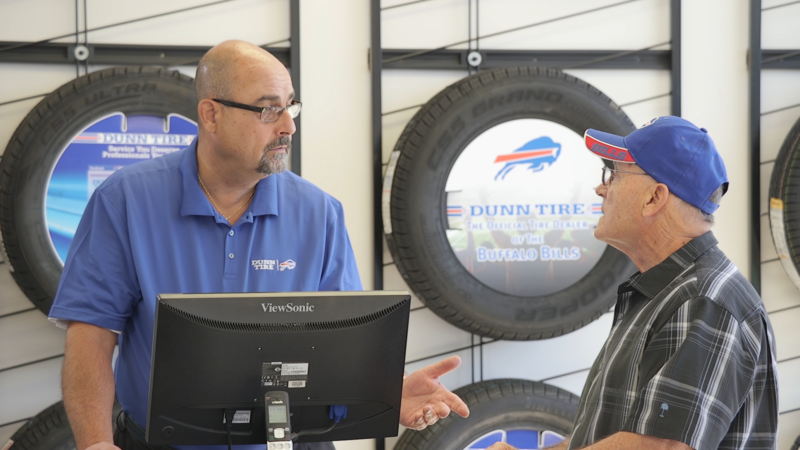 "I purchased a set if new tires from Dunn Tire yesterday. 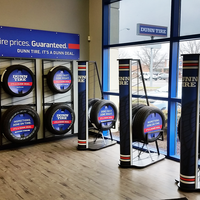 My tires were ordered after discussing what I was looking for. They arrived on time and installation was done quickly and professionally. 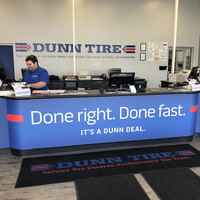 I appreciate Dunn's Staff for always doing a great job! 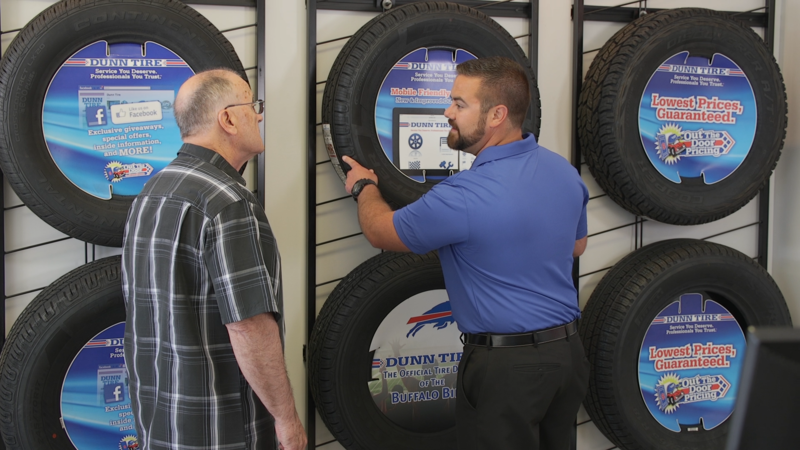 I have been going to Dunn Tires for years now." 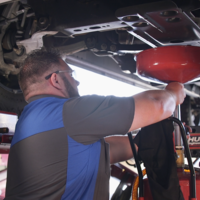 "I purchased a set of tires about 3 weeks ago, I have now been back 3 times because the weights keep falling off and the tires become unbalanced while I’m driving. Although everyone has been friendly and helpful this is extremely frustrating. If there was an issue with putting tires on a BMW this should’ve been brought to my attention prior to my purchase. The weights fell off this morning while driving to work on a newly paved road... I’ll probably be here every other day. Update: 10/2: 3 days later... this is now the 3rd time that the weights for the balancing of the tires fall off. I was promised after the 3rd visit “I have my best guy doing these, I promise that won’t fall off.” The car was driven about 15 miles after that promise and the weight fell off again! Called to speak with the manager, Mike and advised I will be taking to the dealership and will forward the bill and he said “no, bring it back here I will have to order new adhesive to get them to stick.” Another hour out of my day after I have already been there three times to get something done that should’ve been done the first time. They said aluminum wheels sometimes are tough to get things to stick to...well, it should’ve been done the right way the first time! 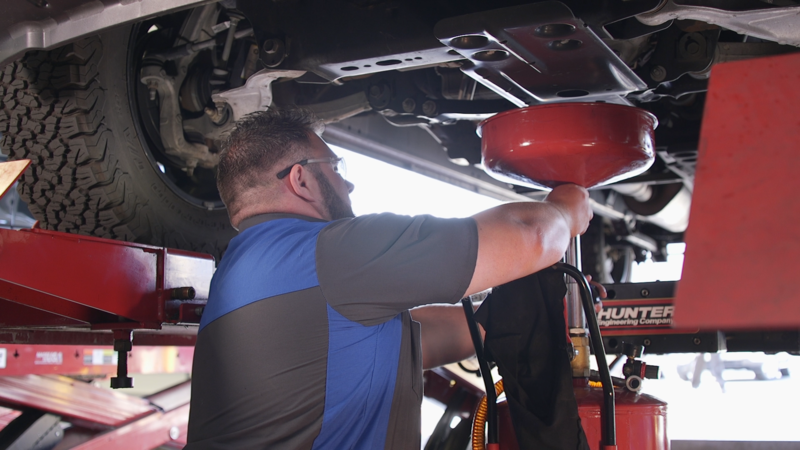 After $1000 on new tires and 4 extra visits to re- balance the tires. 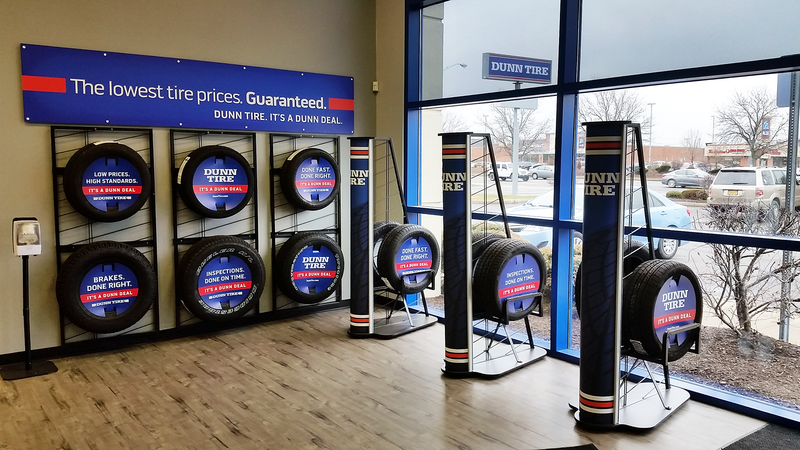 I dont recommend Dunn Tire." 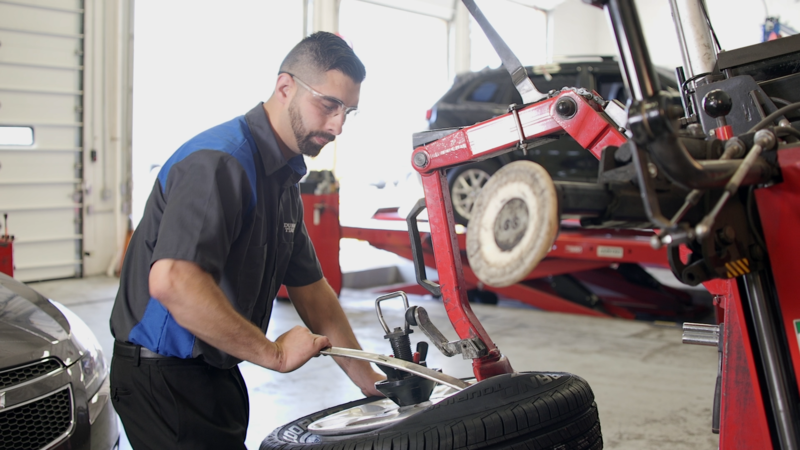 "I had a tire leak and did not have an appointment. 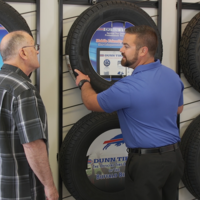 The store was extremely busy but David was very pleasant and professional. He told me how busy they were and that it would take some time to get to my car but they would take care of it. Everyone I dealt with was pleasant and wearing a smile despite the busy day. I got my car back the same day. 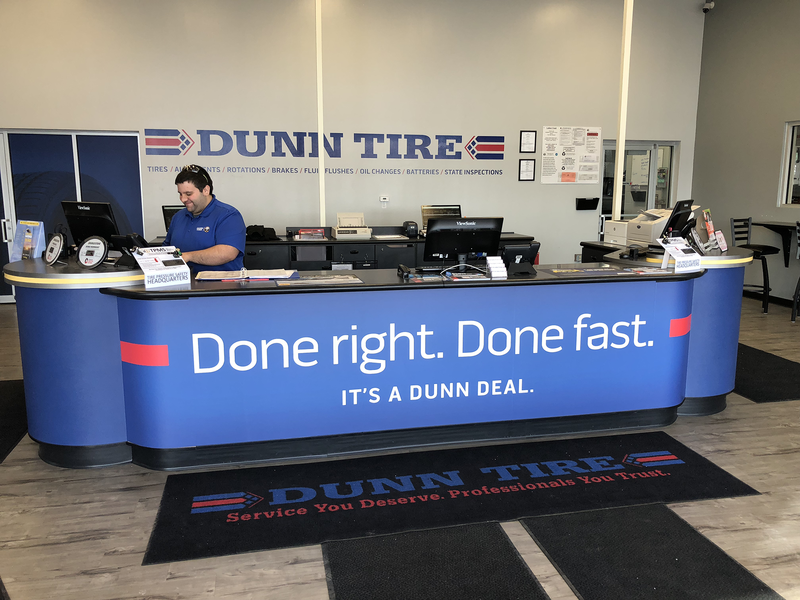 Always a good experience at this Dunn location." "My experience was Of excellence .. 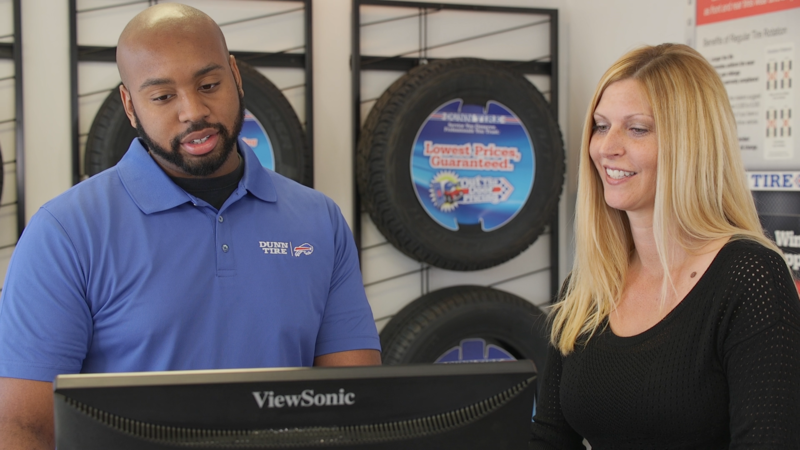 I called to see if my tires were in and they were, they were all booked and Mike still fit me in.. Mike who took care of me from the moment I walked in to the cashing out and to leaving went above and beyond to ensure an excellent experience and stellar customer service.. Please recognize him as he deserves.. The employees were friendly and in great spirits, I wish I knew the name of this young man that came in from the shop to get something and greeted me and asked how I was, when I responded I asked him how he was and he said he was great. The atmosphere was infectious from the front of house to the in-house shop..It all began from the phone call with Mike... Thank You! Jaimeelynn Richter"